HealthPlatform is the short title of a new initiative, funded by the Research Council of Norway (RCN), to develop a scientific and educational collaborative platform between the Norwegian University of Life Sciences (UMB) and the Universidad El Bosque (UED) in Colombia to promote innovative scientific research, capacity building, and student exchange on water, environment, sanitation, disease epidemiology, and health. The current project forms a first initiative to support the collaborative platform between the parties. Little is known of the role of stored water for the dual risk of diarrhea and dengue. 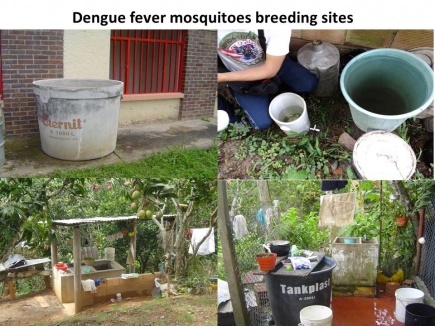 Casa Segura or ‘Safe House’ is a proactive vector control approach using low cost interventions to prevent dengue transmission in the home environment. Here we use the Casa Segura concept to include interventions related to diarrheal diseases adapted for school settings; we call it Escuela Saludable or ‘Healthy School’. We will carry out randomized controlled trials using integrated water management and dengue vector control interventions in schools to assess disease outcome, water quality, mosquito vector density, and potential changes in people’s knowledge, attitudes and practices. 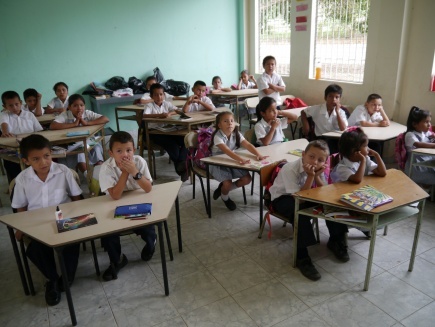 The anticipated results will protect the health of school children in Colombia by reducing the prevalence of diarrheal diseases and dengue fever. The project will also reveal functional interrelationships between the two diseases, by identifying water management practices and key vector producing container types. Long-term Objective: Contribute to improved health and welfare in Colombian school children. Specific objectives (project purpose): Investigate the impact of community and school-based control interventions on the prevalence of dengue and diarrheal diseases in school children, dengue mosquito vector populations, and drinking water quality. The implemented interventions will significantly reduce the number of cases of diarrheal disease and dengue fever, water contamination, and dengue mosquito infestation compared to pre-intervention situation and between interventions and controls. Stored water (in schools and in children’s households) constitutes a significant risk for diarrheal illnesses. Aedes aegypti commonly breeds in stored drinking water containers. Increased microbial contamination of stored water increases production of Ae. aegypti. Project inception workshop: A project inception workshop for the Diarrhea and Dengue (HEALTHPLATFORM) was held in Bogota', Colombia from 28-30 September, 2010. You can read a summary of the project inception workshop by clicking on the link above. Colaborating universities: The project will be implemented in collaboration with international and national partners and stakeholders. The project team is built up by reaserchers from the followingcolaborating universities.